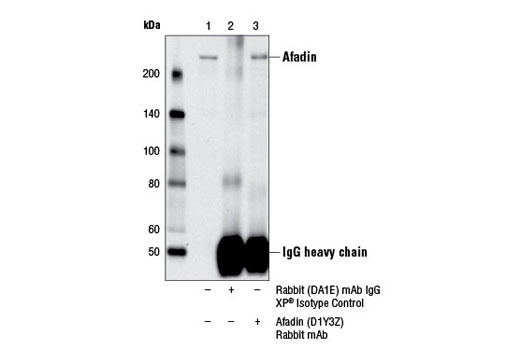 Afadin (D1Y3Z) Rabbit mAb recognizes endogenous levels of total afadin protein. 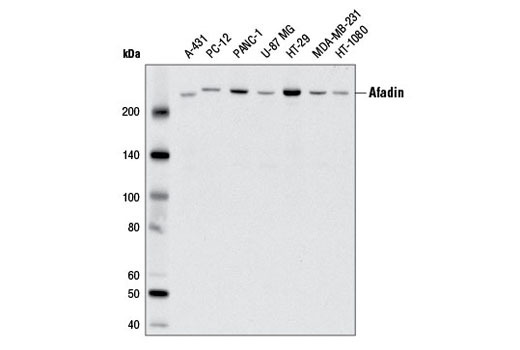 Based on the protein sequence, this antibody is expected to recognize all afadin isoforms. Monoclonal antibody is produced by immunizing animals with a synthetic peptide corresponding to residues surrounding Arg1117 of human afadin protein.